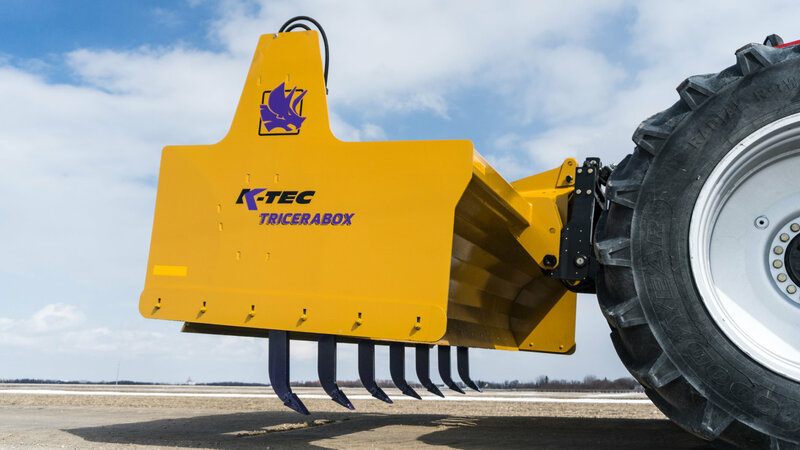 The K-Tec Tricerabox is a 14’ wide box blade that is mounted to the 3-point hitch on the rear of a tractor, engineered to engage the ground and manipulate soil. 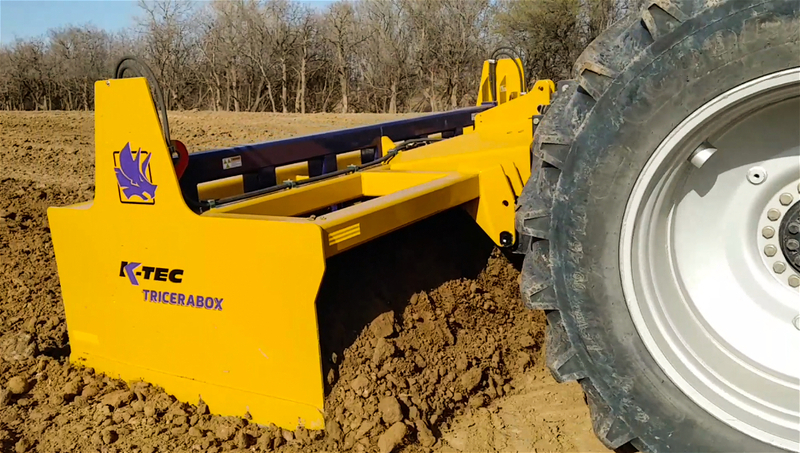 The Tricerabox has seven ground ripper shanks that are hydraulically operated to lower for engaging the ground for ripping up hard soil or aerating wet jobsites. 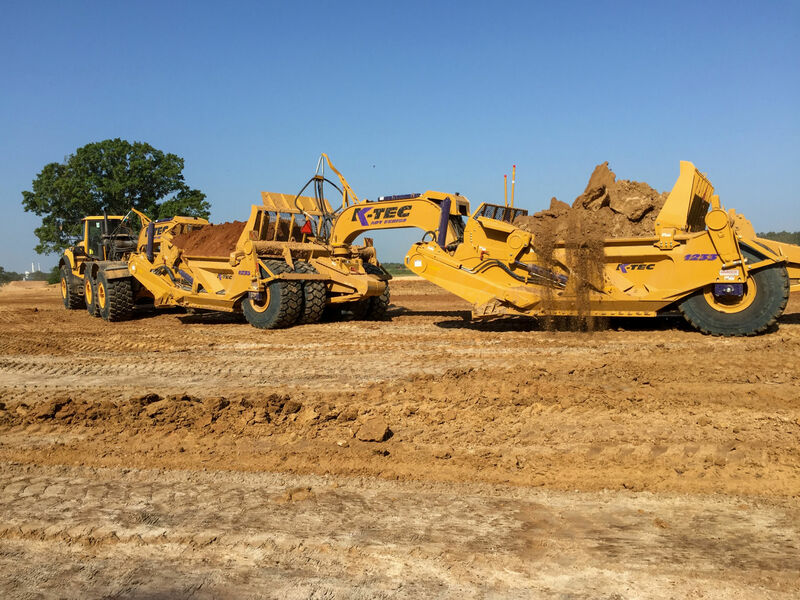 The Tricerabox also has a back blade, for the operator to complete backfilling of soil work to fully smooth out the cut and fill zones. Level gravel driveways, yards and clear snow with ease behind a Pickup, SUV or ATV. 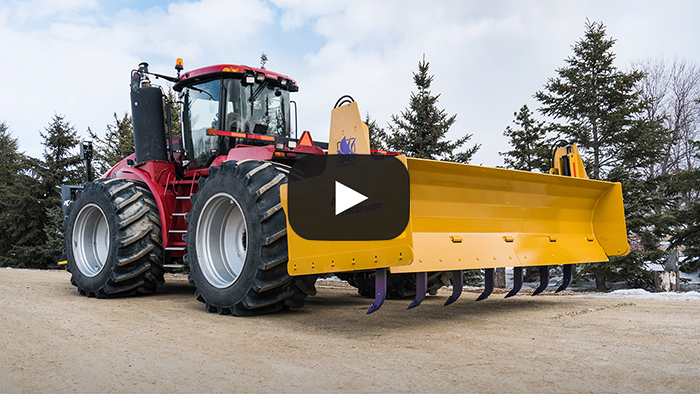 The ideal solution for cottage owners, landscapers, & public works departments. 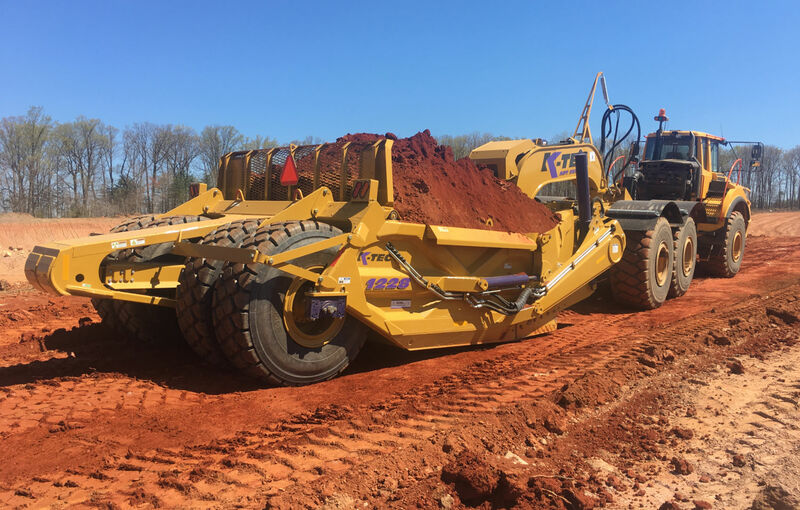 Designed for maintaining haul roads, precision leveling and field drainage; the Flex models enable the folding back of the hitchpole for legal road width to transport the leveler between jobsites. 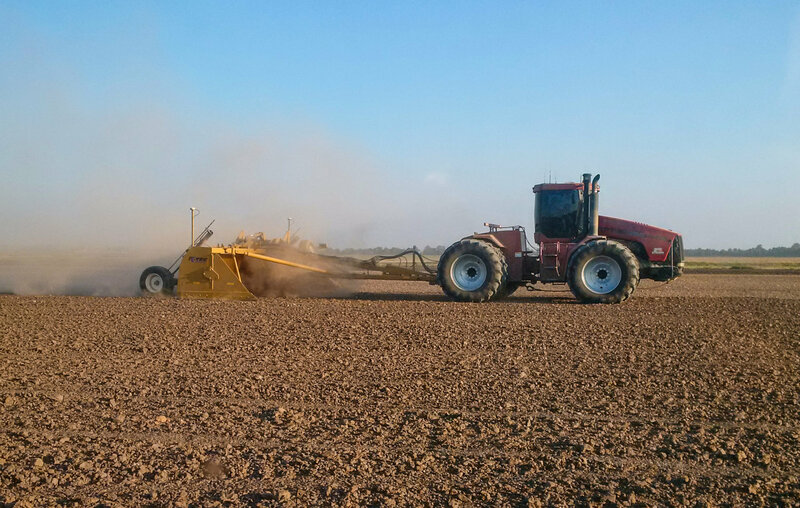 Our heavy duty box scrapers thrive in construction and agriculture industries. 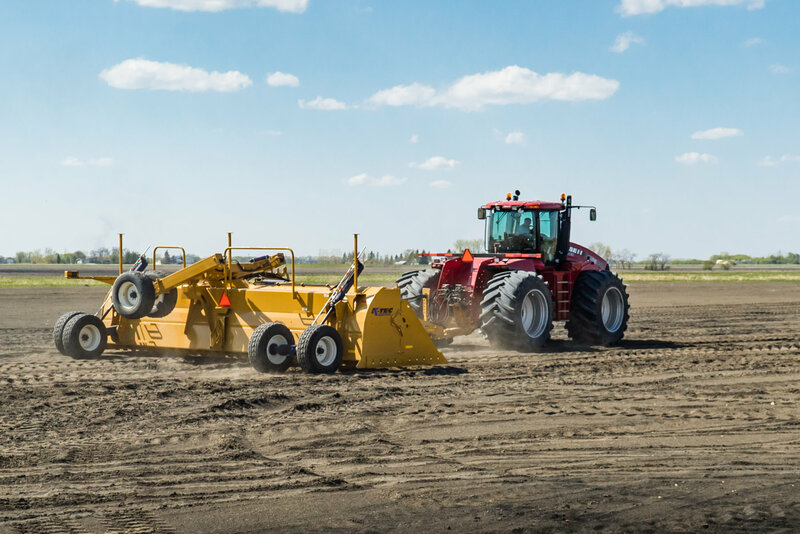 Designed for maintaining haul roads, precision leveling and field drainage. 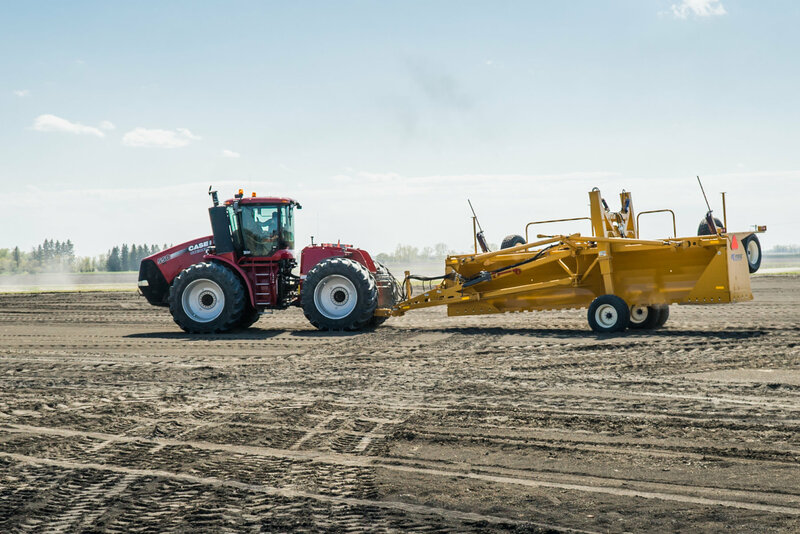 Our heavy duty box scrapers thrive in construction and agriculture industries. 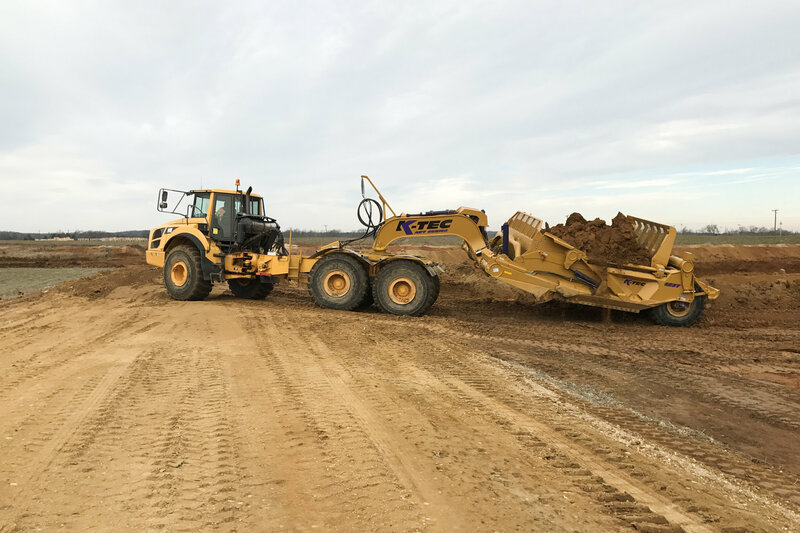 Designed for projects such as precision field leveling and drainage; The XL Series land levelers enable the folding back of the hitchpole and lowering the foldable transport wheels for legal road width to transport the leveler between jobsites without the need of a trailer. 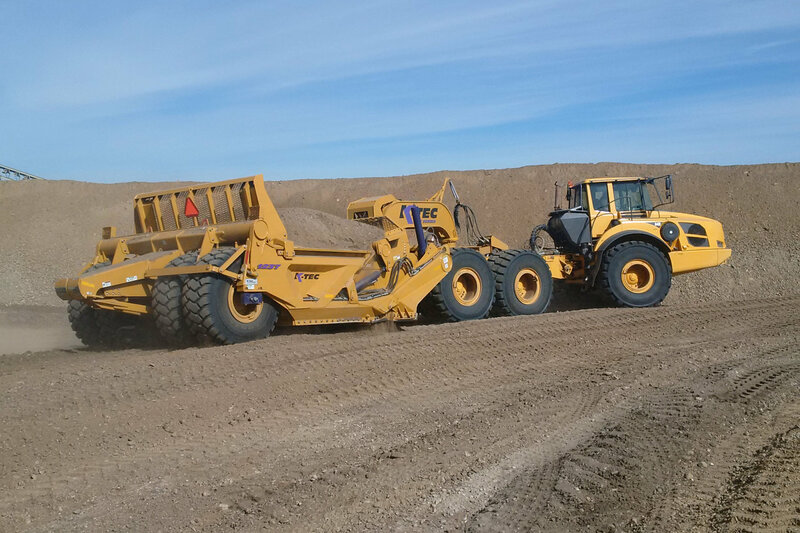 The K-Tec 1237 ADT Train is designed for self loading two scrapers with a single 40-ton, 400+ horsepower rock truck. 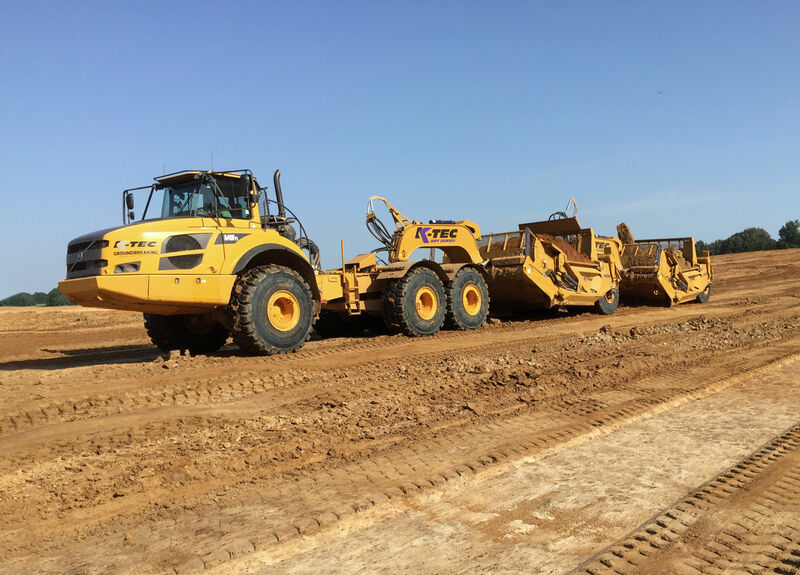 The 1237 ADT Train provides a tandem heaped capacity of 74 cubic yards. 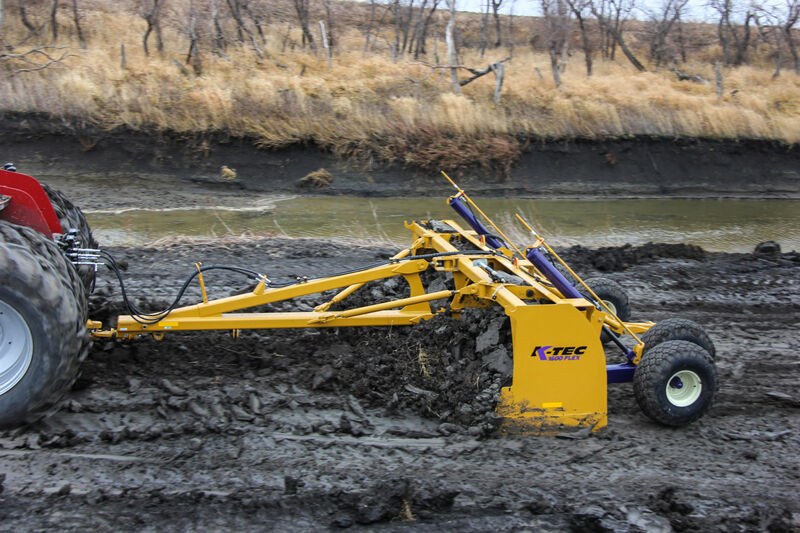 The K-Tec 1243 ADT is designed for self-loading with a 40-ton, 450+ horsepower rock truck. 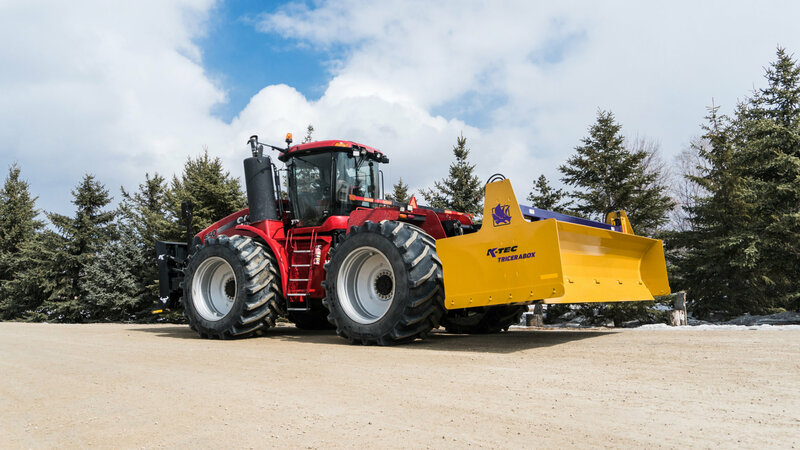 The 1243 ADT utilizes K-Tec’s proprietary gooseneck hitching system, and has a PSI strength which is significantly greater than many competing scrapers. 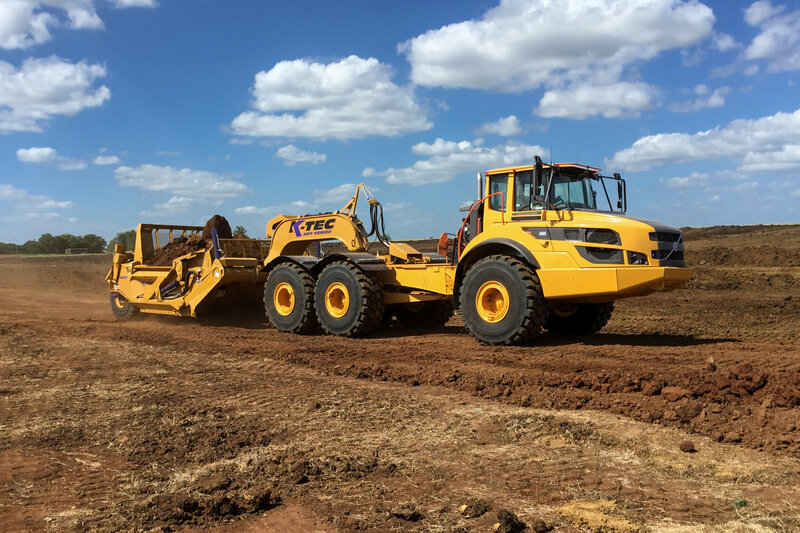 The K-Tec 1236 has the best load to scraper weight ratio and the lowest cost per yard of any unit in the fleet. The 1236 has an extendable rack and sidewalls to contain stackable materials such as clay. 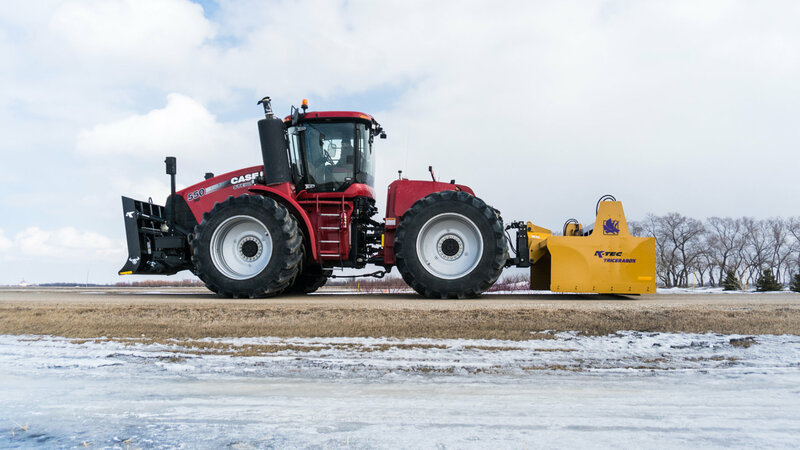 Our groundbreaking innovations have made our scrapers the most productive and profitable option around. 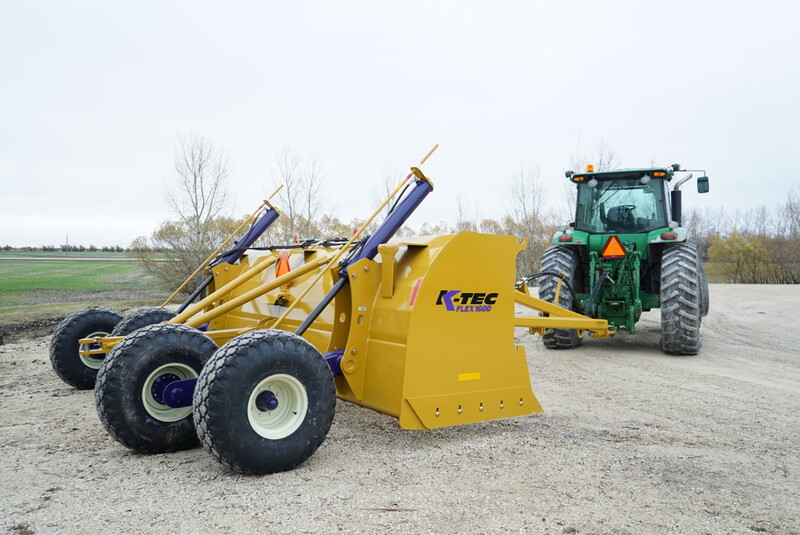 The K-Tec 1233 is the most popular model in the fleet. 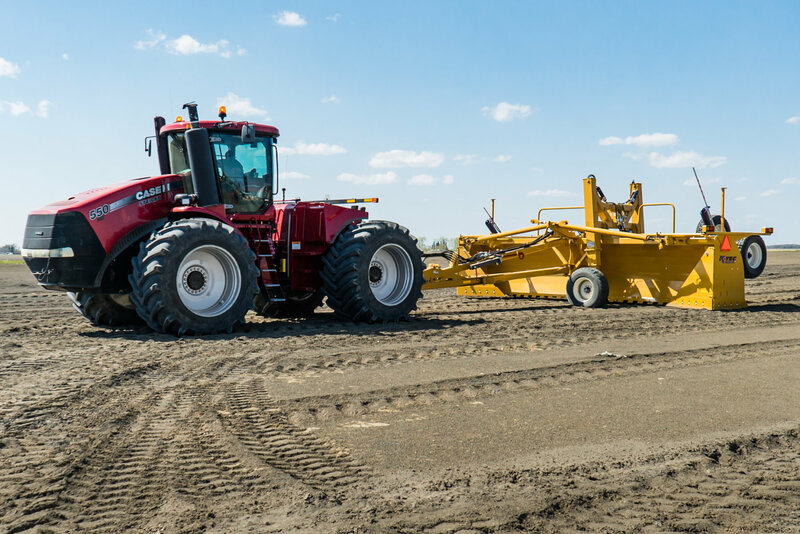 This multipurpose machine is a powerful worker in any soil condition with unmatched fuel efficiency and an amazing loading speed.